JOYÀ, the spectacular show from Grupo Vidanta—a full-service tourism developer specializing in luxury resort development in Mexico—and Cirque du Soleil—a leading entertainment company—conquers the most demanding palate with an exquisite dinner created by Chef Alexis Bostelmann, an expert known for elevating traditional flavors to a new level. After 10 years as executive corporate chef for Grupo Vidanta, including at the Vidanta Riviera Maya megaresort, Bostelmann is taking on a new project with a mission to create a world-class dining experience that promises to satisfy every bite with innovation and sophistication. Bostelmann uses inspiration from the content of the JOYÀ show to develop a unique menu in partnership with Cirque du Soleil. The show highlights the magical journey of an aging alchemist and his granddaughter traveling through fantastical worlds on the relentless quest for the meaning of life. “The idea was to combine culinary influence with the artistic appeal of the show. The theme merges cultural kitchens by infusing Mediterranean influences with Mexican ingredients,” said Bostelmann. The evening experience begins with a selection of organic and mouth-watering appetizers. Regular and specialty options are available for the main course, including a catch of the day, prime rib, or vegetarian dishes. Dessert is presented in a spectacular, JOYÁ-inspired fashion – within a book – and Mercier champagne is glamorously paired with each course. Even the place settings are of impeccable custom-design. “The dishes themselves consist of special pieces designed by artisans from Tlaquepaque. We also added some Michoacán elements to keep the Mexican essence,” said Bostelmann. 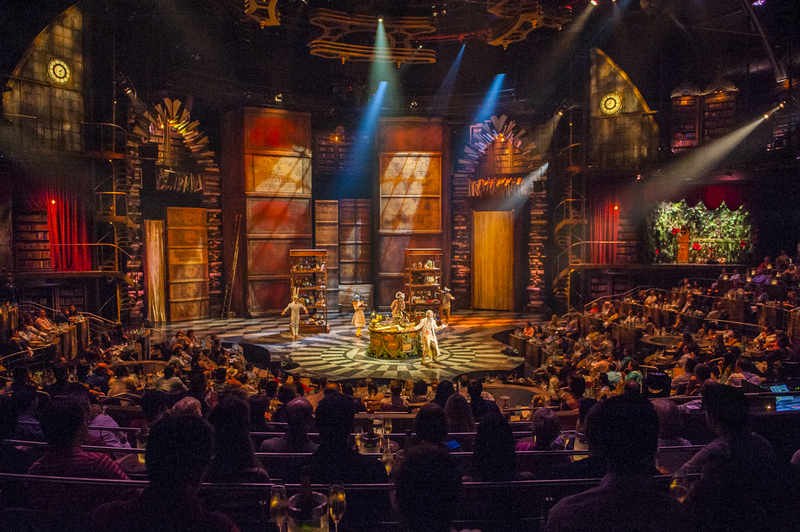 JOYÁ is performed in the Cirque du Soleil Theatre in Riviera Maya, which seats 600 people comfortably and includes a dining area, a champagne area, two bars and two lounge spaces. 194 seats are designed to be able to watch the show while eating dinner, 342 of the seats are arranged cabaret style with champagne offerings available and 64 seats are high barstools, all of which lead to a night of entertainment unlike any other. *Does not include delivery service charges. Cirque du Soleil is primarily a creative content provider for a wide variety of unique projects. In addition to shows, the company, whose headquarters are located in Montreal, extends its creative talent to other spheres of activity. For any innovative project, Cirque du Soleil maintains rigorous standards of artistic quality and originality, and provides them with the same energy and spirit that characterizes each of its shows. 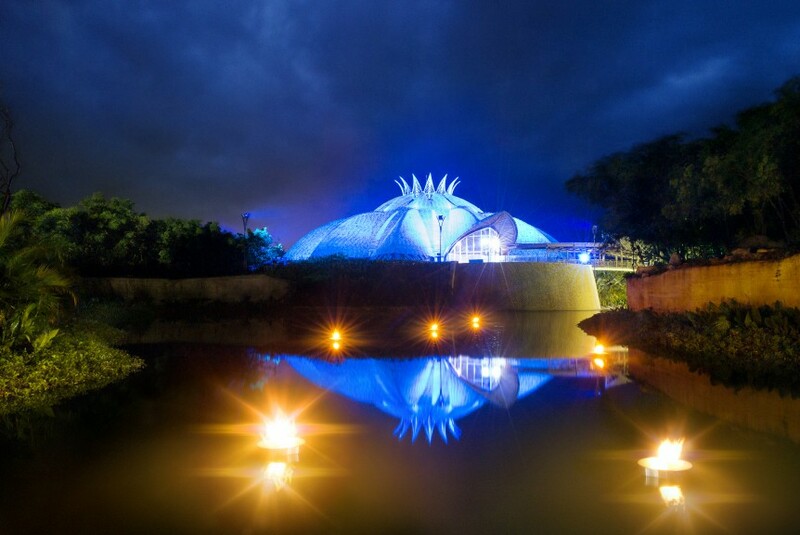 Cirque du Soleil is a Quebec -based organization providing high-quality artistic entertainment. Since its inception in 1984, nearly 150 million viewers in over 300 cities on six continents have been thrilled by Cirque du Soleil. Grupo Vidanta is a full service tourism developer in Mexico and Latin America with practices in property architecture and product design, construction and operations. The company specializes in the development and operation of luxury resort and hotel brands in Mexico and counts AAA Five Diamond Award winning Grand Luxxe Nuevo Vallarta and three AAA Four Diamond Award winning resorts – Grand Luxxe Riviera Maya, The Grand Bliss Nuevo Vallarta and The Grand Mayan Riviera Maya – among its impressive portfolio of more than 25 resorts and hotels. Grupo Vidanta’s visionary approach to the development of luxury beach destinations brings vacation dreams to life via membership-based resorts and mega-resorts on the coastlines of Mexico’s most sought-after locations – Nuevo Vallarta, Riviera Maya, Los Cabos, Acapulco, Puerto Peñasco, Puerto Vallarta and Mazatlán – with brands including Grand Luxxe, The Grand Bliss, The Grand Mayan, The Bliss, Mayan Palace, Ocean Breeze and Sea Garden, and more in development. The company, which employs more than 12,000 individuals dedicated to design, development, construction and operations, is consistently recognized among the most revered employers in Latin America. Vidanta Golf is the largest operator of golf courses in Mexico, the real estate division has built and sold more than 2,000 vacation luxury homes, and the company is responsible for developing Mexico’s first privately built and owned airport, Mar de Cortés Internation Airport in Puerto Peñasco.